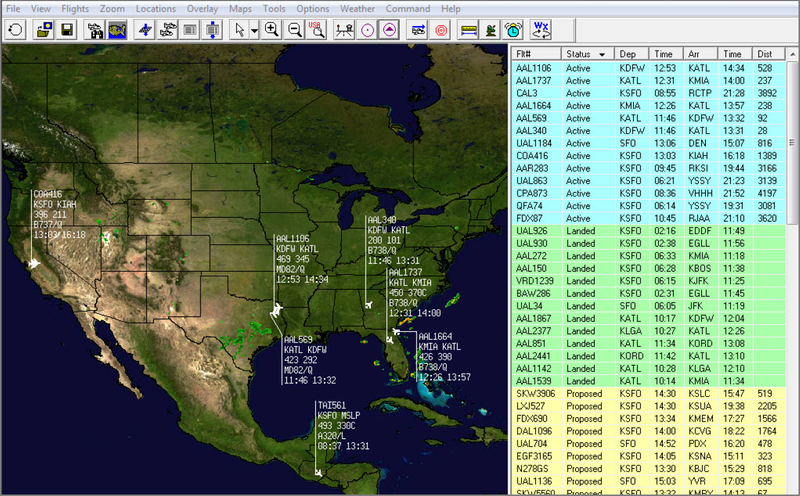 Track aircraft position, airport status and advanced weather overlays in one view. 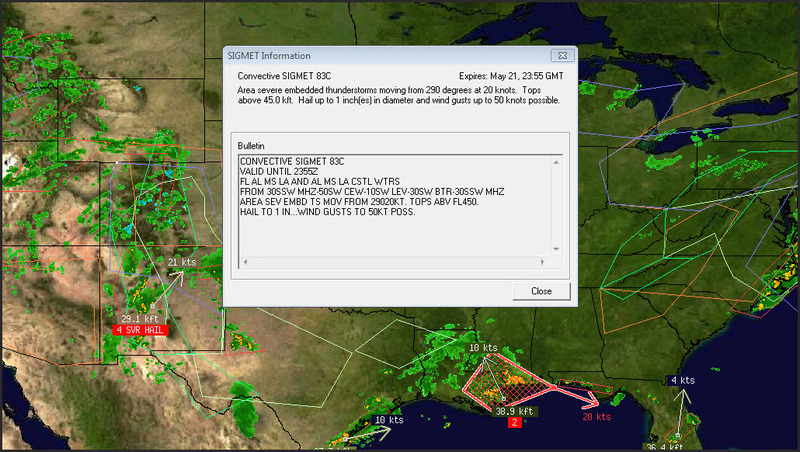 Comprehensive PC-based Aircraft Situation Display (ASD) with interactive tools and advanced weather visualisation helps you manage your fleet more efficiently. 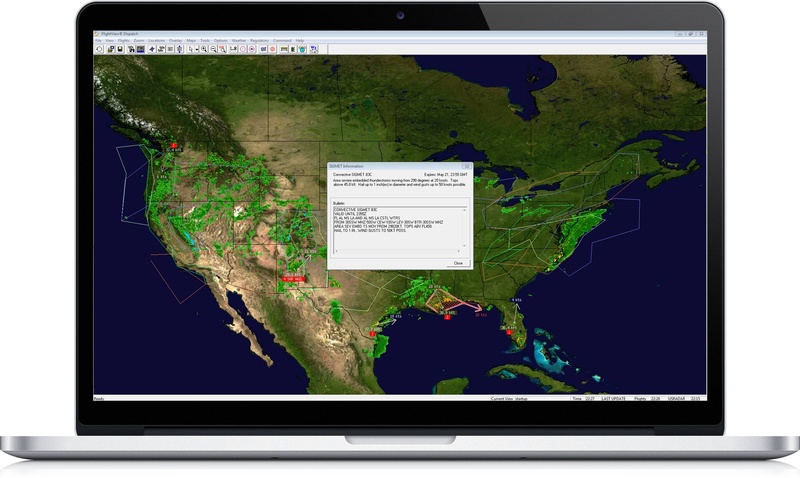 Track commercial and IFR flights incorporating real-time flight data, radar weather and navigational tools in an interactive GUI. Manage your air fleet more efficiently and know exactly where your planes are, even in bad weather, in high air traffic conditions, or during irregular operations. Alerts Manager - Easily customise airport or flight alerts to notify you when flights land or depart a specific airport or specific flights depart, land, are diverted or delayed. Flight Bulletin Board – Quickly configure to track your company fleet. Filter by status - proposed, in-air, and landed - and see delay departure status, time to arrival and distance to destination with one click. 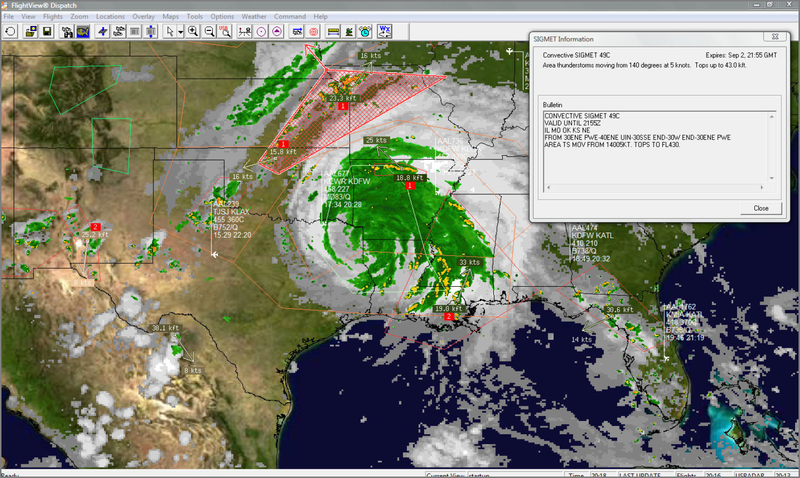 Enhanced Weather Overlays - Always know what your fleet is up against with advanced weather visualisations including AIRMET, SIGMET, TFR and more. Anticipate weather problems by viewing automatic weather looping for the past 6 hours. Who uses OAG flightview® Fleet Tracking? “OAG flightview’s® data gives our dispatchers and drivers the ability to know – up-to-the-minute – when and where a client’s flight is. The accuracy is incredible – we often know the estimated time of arrival even before the client or the airline does and that’s a powerful service differentiator."